Day Eight (15.8 miles): Winding Stair Gap to Cold Spring Shelter campsite. Got a fresh start this morning after a night in Franklin, N.C. Showered, fresh clothes, and stocked up on supplies, I was ready to tackle week number two. Hostel owner and local celeb, Ron Haven, drove a bus loaded with hikers back to the point where we left off and sent us on our way. The weather was perfect for hiking, sunny and cool. The climbs up to Siler Bald and Wayah Bald are long and and steady. Perfect for getting into a rhythm and a steady stride. The tower on Wayah Bald is completely rebuilt but evidence of the fire from two years ago still scars the area. The views were spectacular and quite a few folks had made the trek up to the top. 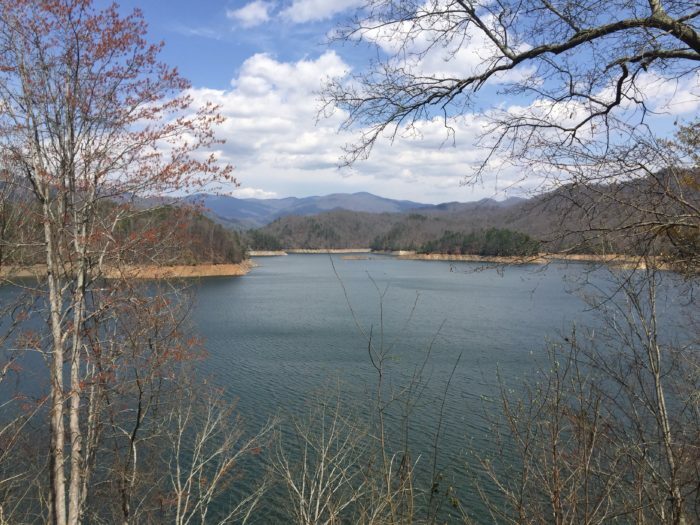 It’s Easter weekend so the Nantahala Hiking Club was out sharing trail magic. Best Easter egg you ever tasted. I set up camp on a ridgeline just past the Cold Spring Shelter with Flash, another older gentleman. It was very peaceful up there. Simultaneously, the sunset ignited the sky behind us with a wash of colors while the full moon rose over the sparkling lights of a nearby town in front of us. The scene was breathtaking and unphotographable. Day Nine (11.7 miles): Cold Spring Shelter to NOC. Following a surprisingly good night’s sleep I woke to a glorious sunrise shining into my tent. Jumped out of bed and quickly executed the morning routine of packing, coffee, breakfast, and privy. The weather was amazing again and my feet just ticked away the miles. Had a nice chat with T Rex, from Canada and caught up to The Ambassador, who got an early start this Easter Sunday morning. Had to go to the top of the Wesser lookout tower for 365 degrees of awesomeness. Saw two large deer standing in the trail on the way up there. Probably my favorite section of trail in the South is the trail leading to Painted Mountain, knife-edge ridgeline walking, then suddenly you’re standing at the end of the mountain. The rocky switchbacks climbing down are pretty epic too. Saw a couple of young snakes, non-venomous variety, on the trail up there as well. There was a large hawk circling overhead too, probably stalking the little snakes. Spring is following me up the trail and I photographed six different wildflowers blooming. Unfortunately I cannot tell you the names of the flowers but will look them up later. Arrived at NOC in time for lunch, booked a bunk, showered, then did some shopping. Sat in a sunny spot by the riverside for a while. Dinner at the restaurant this evening then called it a day. 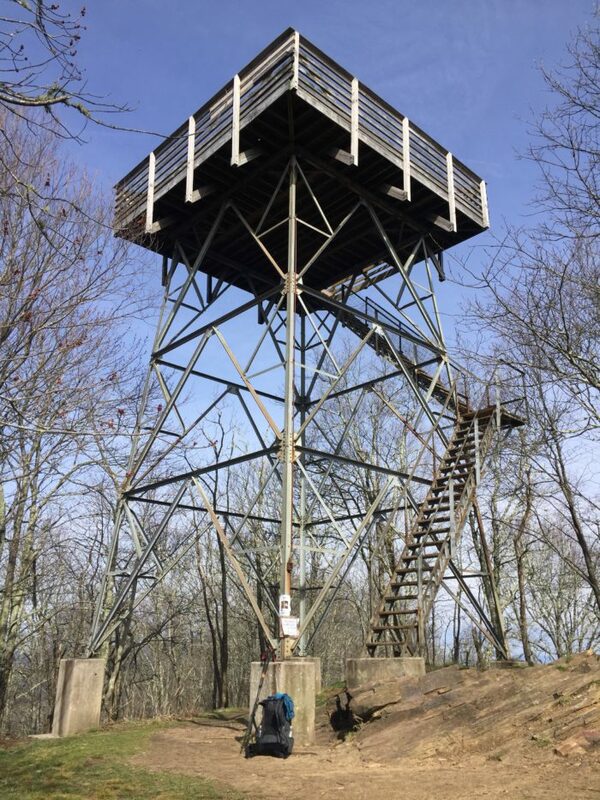 Day Ten (16.2 miles): Nantahala Outdoor Center to Brown Fork Gap Shelter. 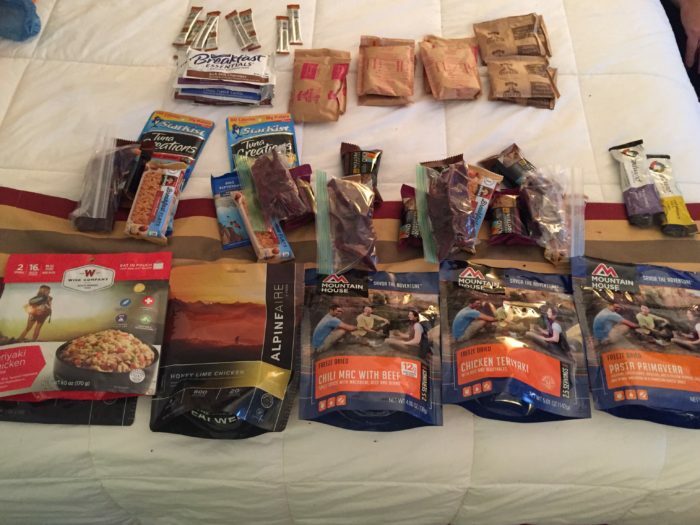 After a relatively peaceful night in the NOC base camp bunkhouse I was ready to get hiking. But first another stop at the outfitter for food and fuel. With my pack weighing more than usual I began the seemingly eternal climb out of the NOC. In fact up was the theme of the day. Didn’t check the numbers but pretty sure today’s hike was the most altitude variation of the trek so far. Some folks I’ve met: Akuna, Special Ed, Toasty, Hank Heel, Mission, Jack. Today’s hiking was mostly serious business so not much chatter or photography. However, there was trail magic at Stecoah Gap. Two couples from Indiana were serving hot dogs, drinks, and every imaginable snack. I sat down and partook, even opted for an ice cold Mountain Dew. Awesomeness, thanks Indiana! 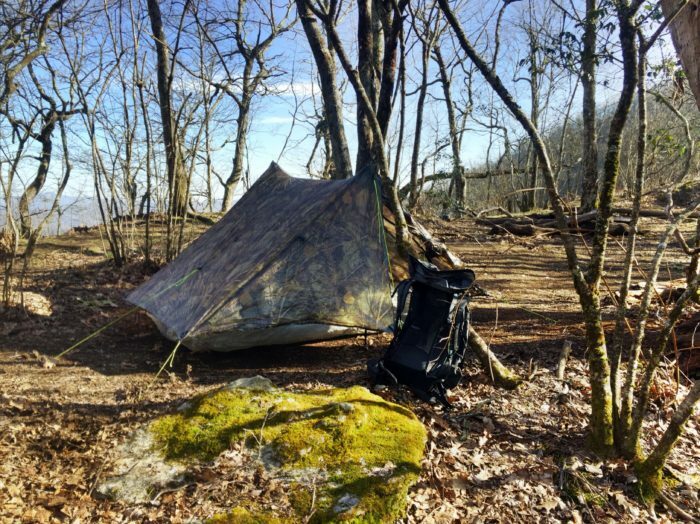 I arrived at the Brown Fork Gap Shelter around 4:30 p.m. and no one was there. But within a few hours there were eight hikers hunkering down for the night. Fontana Hilton is 12 miles up the trail so probably stay there tomorrow and evaluate the weather forecast and my supplies before heading into Great Smoky Mountain National Park. Day 11 (12.4 miles): Brown Fork Gap Shelter to Fontana Dam Shelter. It was a peaceful night at Brown Fork Gap and a smooth start to the morning. It didn’t take long to hit my stride and settle into a comfortable rhythm. Didn’t see anyone on the trail all morning and the meditative mood lasted for several hours. Met Keegan, from Indiana, and Ben, from Massachusetts, at the shelter last night. They are both young guys hiking about the same speed as I am. We all landed at the Fontana Hilton today and due to the weather forecast decided to stay in the shelter rather than setting up the tents. Met Robin, trail name Journalist, a nurse from South Ccarolina. Her brother Dan thru-hiked a couple years ago. Forecast looks wet and cold for the first day in the Smoky Mountains but I’m prepared – hopefully. My two-liter Evernew water collection bottle has sprung a huge leak and I’ll have to deal with it until Newfound Gap, where I plan to meet my brother, who is bringing a replacement and some supplies. 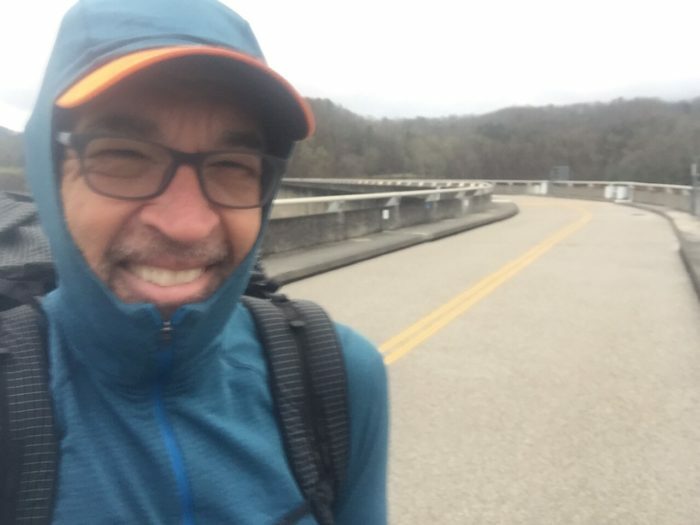 Day 12 (17.9 miles): Fontana Dam to Spence Field Shelter. Staying in the Fontana Hilton was a good choice because of the rain last night. Tenting wasn’t really an option anyway because they only had concrete pads and my tent is not freestanding. The shelter was near full with 20 to 25 people staying inside and another 20 to 25 tenting outside. A group of us started hiking by 8 a.m. After the initial uphill miles into the Smoky Mountains the trail became rolling and it was easy to settle into a comfortable pace. Curving around the mountains, in and out of the sun and wind, required adjusting clothing frequently. I arrived at the shelter around 3:30 p.m. as several hikers were leaving after a late lunch break. Eventually others began to arrive and ultimately ten to 12 huddled in to escape the freezing temperatures. Some folks I met: Hungry, Thirsty, Woodchuck, Mr. Miyagi, Rampage, Tinkerbell. Day 13 (19.9 miles): Spence Field Shelter to Mount Collins Shelter. Everything was frozen when I left the nearly full-capacity shelter this morning. The trail crunched as I hiked for the first two hours. Things started warming up by Starkey Gap, so I switched from my tights to my shorts and calf-compression sleeves. The ice was melting and creating slippery muddy spots on the trail. I slipped and fell once; that’s the second fall since starting this odyssey. When arriving at Derrick Knob Shelter I decided that the morning was just not going well so I stopped. After a hot coffee and some oatmeal it felt like the reset button had been pushed on the day and I was starting over. Renewed, I pushed on feeling better with every mile. 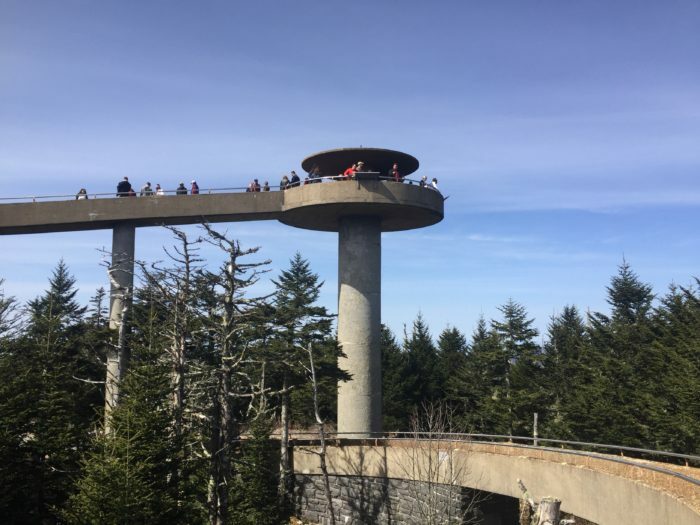 The sky was clear and scenic vistas were plentiful as I approached the highest point on the Appalachian Trail, Clingmans Dome. The road to the dome has just recently opened and there was quite a crowd. I went to the top of the tower and snapped a few photos, then pushed on to the next shelter. Mount Collins Shelter was full so there are about 20 of us in tents set up all around. 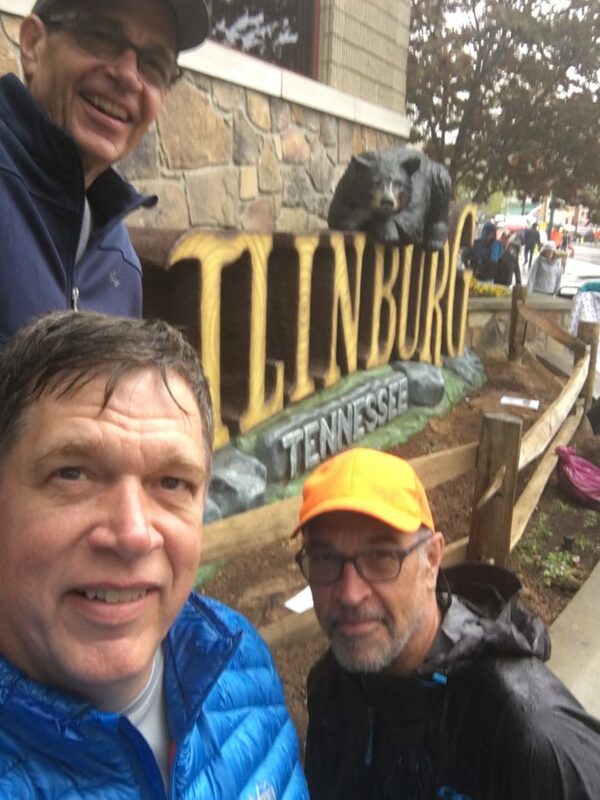 The ridge runner here, Christine, told me about a free shuttle to Gatlinburg at Newfound Gap, at 10 a.m. and 12:30 p.m. Now my plan is to do the five miles to Newfound Gap in morning and take a nero in Gatlinburg, for resupply, Wi-Fi, recharge, laundry, shower, and a bed. 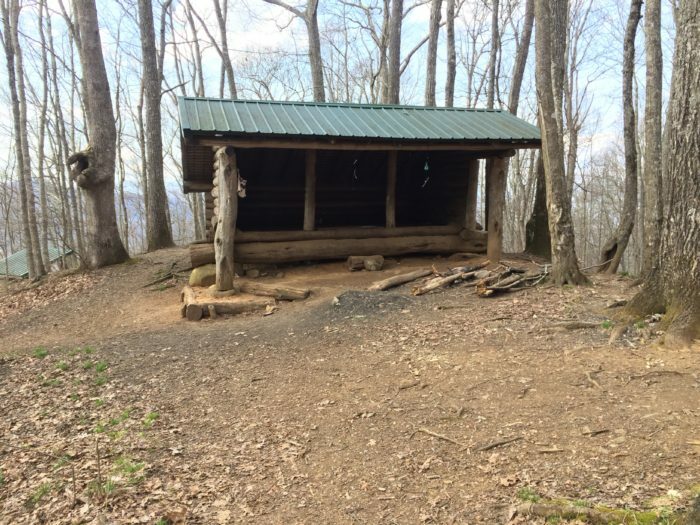 Day 14 (5.5 miles): Mount Collins Shelter to Newfound Gap. Quick and easy hike down to the gap. A free shuttle was there and drove me to the NOC Outdoor Center in Gatlinburg. 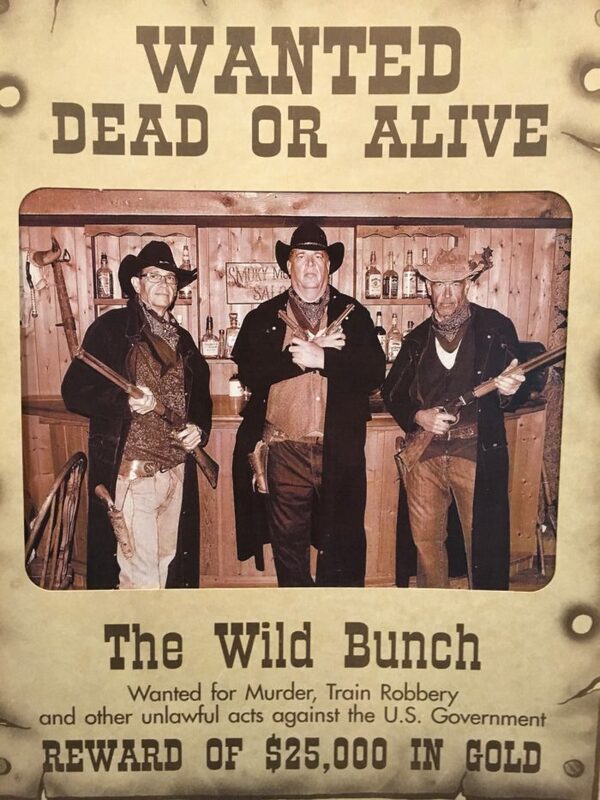 My brothers, Dean and Doug, are meeting me and bringing supplies. Nero is a near zero in hiker jargon, and that’s the plan for today. Just Amazing!!!! Rooting for you all along the trail Dan!